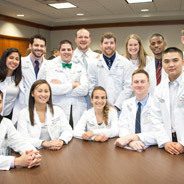 TMA advocates for physicians and patients on promoting healthy lifestyles. TMA testified during the Senate Health and Human Services interim hearing on recommendations for promoting healthy aging in Texas. At a time when obesity and diabetes are on the rise, medical schools still struggle to provide ample training in nutrition, some studies show. Texas Medicine takes a closer look at some Texas programs integrating nutrition into the curriculum. Texas Medical Association policy recognizes obesity during pregnancy as a preventable health condition that poses significant risks for mothers and infants. Texas Medicine looks at the role of obesity during pregnancy. Ready to practice what you preach? 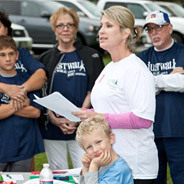 TMA's Walk With a Doc program is part of a national grassroots movement devoted to encouraging healthy physical activity. Got Obesity questions? Call the Knowledge Center.